South America Travel Centre specialises in creating tailor-made holidays in Latin America for the discerning traveller. Whether you wish to travel around a specific country or you want to experience several countries in a longer tour, from Mexico to Antarctica, South America Travel Centre can design an itinerary for you. Take a look and discover some of the highlights of South America, Central America, Cuba, Mexico & Antarctica. This brochure is intended simply to be your starting point. It aims to provide you with some tantalising ideas and lots of inspiration, along with a small number of sample itineraries so you can see how things might fit together. But these are only suggestions. South America Travel Centre invites you to let its specialist Travel Consultants create the kind of innovative and exciting itinerary for which it has become renowned, tailored entirely to suit your personal requirements and expectations. The essential component of any trip, South America Travel Centre's carefully selected guides offer extensive professional and local knowledge as well as a personal insight into their country and culture. South America Travel Centre's staff have travelled extensively throughout Latin America and they know the regions well; their focus is solely on Latin America & Antarctica. And South America Travel Centre's longstanding in-country partners add another layer of expertise, care and professionalism. South America Travel Centre only offers tailor-made holidays to South & Central America, Antarctica Mexico and Cuba. 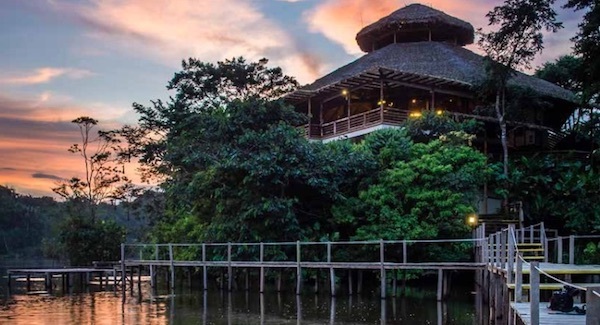 The world is a big place and focussing solely on Latin America allows South America Travel Centre to know a lot about this amazingly diverse region. South America Travel Centre's team of experts are on hand to help you plan and bring to reality a holiday of a lifetime in Latin America. They specialise in creating upmarket travel itineraries and have travelled extensively throughout Latin America. So whether your desire is to experience the amazing beauty of the continent's renowned national parks, to swim with sea lions in the Galapagos Islands, shop in Indian village markets, explore amazing ruins, to gaze awe-struck as huge ice slabs sheer o Patagonian glaciers, or simply to party the night away at Rio's Carnival, or all of the above, let South America Travel Centre turn the holiday of your dreams into a reality. One last word of advice – please don't hurry your itinerary, Latin America is a very big place. People who ordered South & Central America – Tailor-Made Journeys also ordered the free travel brochures below. Click on the images to find out more about these brochures.